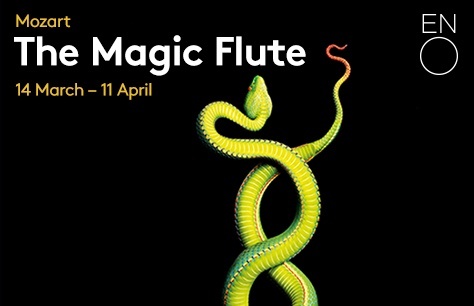 Simon McBurney’s five-star production of Mozart classic The Magic Flute returns to ENO. Magical instruments. Serpents and sorcerers. Trials of character and courage. When you begin an enchanted journey to find love and wisdom, you have to expect delays on the way.. This production is sung in English with titles projected above the stage. This opera has a bit of everything. It is funny, modern, beautiful, creative with lots of unexpected moments. Great for the whole family. It was my 2 boys (aged 12 and 14) first opera and they thoroughly enjoyed themselves. Brilliant. Amazing production, singing and orchestra! BRAVO!